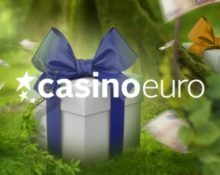 Casino Euro – The Daily Mega Prize Pot! Play for a daily Mega Prize! Hunt for vouchers and gadgets, plus collect up to 210 Free Spins! Yes, the hunt is on at Casino Euro, and that every day of this week. 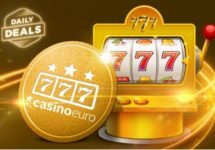 They have selected some of the most popular Netent slots to be the lucky game for a daily winner of a mega prize, plus everyone wagering on the game will instantly receive 30 Free Spins. Rinse and repeat that every day until Sunday and you could win one of seven Mega Prizes and collect up to 210 Free Spins. 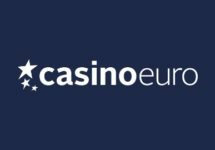 Join the hunt for mega prizes at Casino Euro and win some superb prizes such as an iPhone X, an UFC experience package or an Amazon voucher. Plus everyone will be rewarded with 30 Free Spins for wagering on the Mega Prize Game of the Day. The player getting the highest total win amount from the daily Free Spins, will win the Mega Prize of the Day. There is no cash alternative for the physical prizes. If any winner can’t take the prize, it will be raffled out among players who wagered on the promotional games. 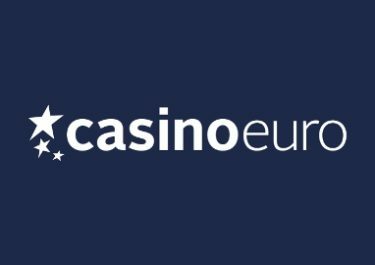 Wednesday – 1x UFC package, 22nd July 2018 in Hamburg, Germany, including return flights for 2 from selected European airports. 3 nights in 5-star hotel and tickets to the UFC event. 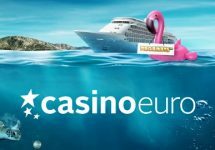 Thursday – 1x iPhone X.
Sunday – Travel Voucher from a local travel agency, value €1,000.